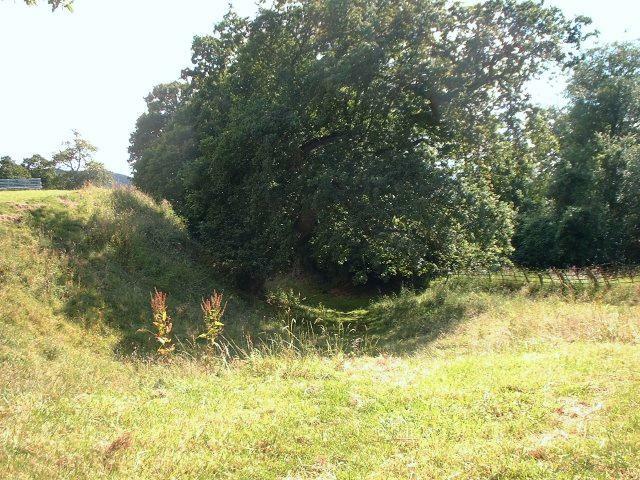 An enclosure of earthworks that was captured in 1138 and mentioned in the Pipe Rolls for 1186-7. The earthworks included double ditching. The later stonework is believed to have consisted of a quadrangle with corner and mid-wall towers, gateway and a great tower, but only the earthworks remain today. Plantagenet Somerset Fry, Castles of Britain and Ireland, Abbeville Press, 1996. The Marcher barony of Weobley lay mainly to the north of Hereford and was a more compact unit than that of Pontefract. It was held at the time of Domesday by Roger de Lacy. It's caput, Weobley Castle, lies towards the west, as if protecting it from Welsh attack. There is no documentary evidence for Weobley Castle before 1138, but it is probable that the large ringwork and bailey, whose slight remains lie on the southern margin of the town, was established well before this date. The de Lacys appear to have held only one other castle, that of Ewyas Lacy, or Longtown on the southern margin of their sphere. 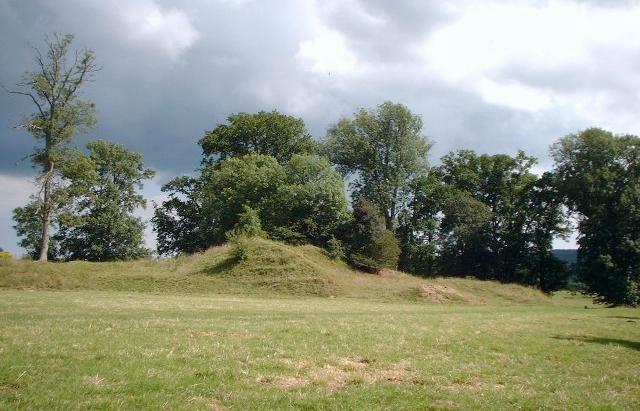 But there are motte-and-bailey castles on some of the manors held of de Lacy by undertenants, notably Eardisley, Almeley, Lyonshall, Mansell Lacy, Bacton and Munsley. N.J.G. Pounds, The Medieval Castle in England and Wales, Cambridge University Press, 1994.